With 3D printing becoming a blooming technology, it’s opening new paths for democratizing the manufacturing of some goods. Apart from the micro-level innovations, we’re going to look at the higher-level effect of 3D printing advancements such as the distribution of manufacturing power. 3D printing is becoming more consumer-friendly as it’s becoming more accessible to the public. Perhaps one of the most notable things about 3D printing is how sustainable and efficient it is. In the manufacturing process, scrap material is reduced or even eliminated. This is because 3D printing produces the object layer by layer, rather than producing a bulk item that has to be carved and have its chunks thrown away. Besides reducing waste, 3D printing also helps conserve energy. To produce a truck gear using subtractive manufacturing, you’d need 17 steps. On the other hand, 3D printing would require just 6. This means that the production process took less than half the energy. 3D printing also cuts down on the transportation costs as it brings the products closer to the customer. It also spares you the transportation of materials. How does this affect our everyday life? 3D printing steps up the game of manufacturing as a whole. It also gives artists the opportunity to bring their pieces of artwork to life with the technology. Fashion designers can use 3D printed parts and 3D printing to style their fashion up. This is by directly printing on fabric, adding printed fixtures to pieces, or adding flexible materials to eliminate seams. Shoe designers can also create personalized soles in footwear. 3D printing enables you to produce a customized, organic object with a satisfactory degree of precision. Of course, this means that they’ll be used to manufacture human organs. 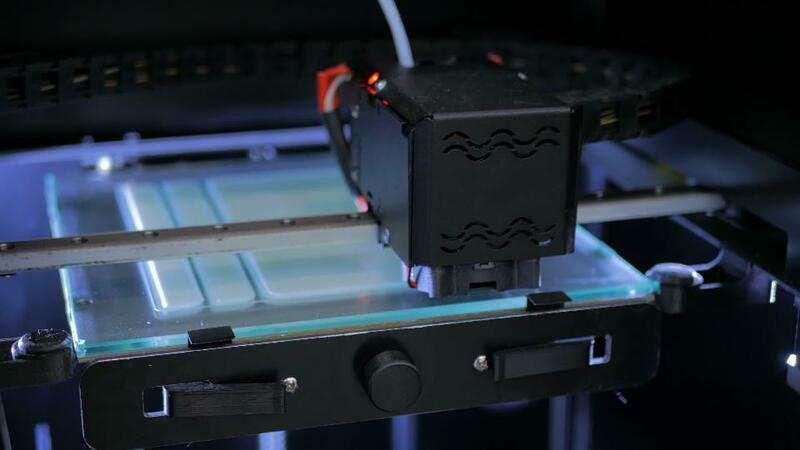 Bioprinting is already being used to manufacture simple human tissue such a skin or cartilage for research purposes. A lot of professionals are also using 3D printing technology to manufacture durable, customized parts. Prosthetics are a perfect example of this application. Well, not the drugs themselves but the chemical reaction vessels (or as some researchers call them: reactionware) that the drugs are made in. These can be 3D printed. This is beneficial in two ways: it protects the market from counterfeiting and fraud. It is also cost saving as it enables professionals to produce the drug on-demand. This means that there won’t be supply shortage problems. To communicate their vision to clients and colleagues, an architect may want to produce scale models. Of course, 3D printing gives them a great advantage in this field. You can print livable, human-sized homes, and indeed, some have already done that. This can be done thanks to concrete 3D printing. This is a process in which big nozzles build up your room, layer after layer. This has great potential to be advantageous for developing regions of the world as the houses can be built pretty quickly and with relative ease. The automotive industry is one of the industries that makes sure to optimize any new technology, and 3D printing is becoming widely used already. Specifically, in the design phase where prototyping and product development take place. Also in the assemblies such as printed jigs for hand-assembly, and end-user components like brake pads, wheels, and brackets. The International Space Station that’s currently orbiting the earth houses a couple of human astronauts, numerous experiments, and a 3D printer. The latter helps in producing tools that would be risky and expensive to transport from earth. A great ambition in the aerospace field is rocket engines. They can be printed with aluminum, making them cheaper and more accessible. Needless to say, there isn’t a technology that was created that doesn’t come with drawbacks. Just like you need an internet connection and decent bandwidth to stream a movie online, you need more than just the printing material and the 3D printer to produce what you want. So don’t expect the printing of living creatures any time soon. If you’re attempting to 3D print weapons, you’re certainly going to be stopped. You can even get arrested in some places for just downloading the blueprints for a gun. Yes, you’ll have the power to make things, but the freedom to make certain items will be limited. Anyone with enough money can buy the equipment needed for 3D printing (such as the printer and the filaments). However, only someone with the right talent can produce the right kind of product with the desired details. Apart from the aforementioned applications, 3D printing has found its way into some metal shops that utilize it for casting small-batch prototypes before they invest in the traditional tools to produce the components their clients requested. And it is only a matter of time before 3D printing becomes a global technology and before every house has a 3D printer. As the technology becomes more distributed and powerful, endless new opportunities for creation and innovation will arise.